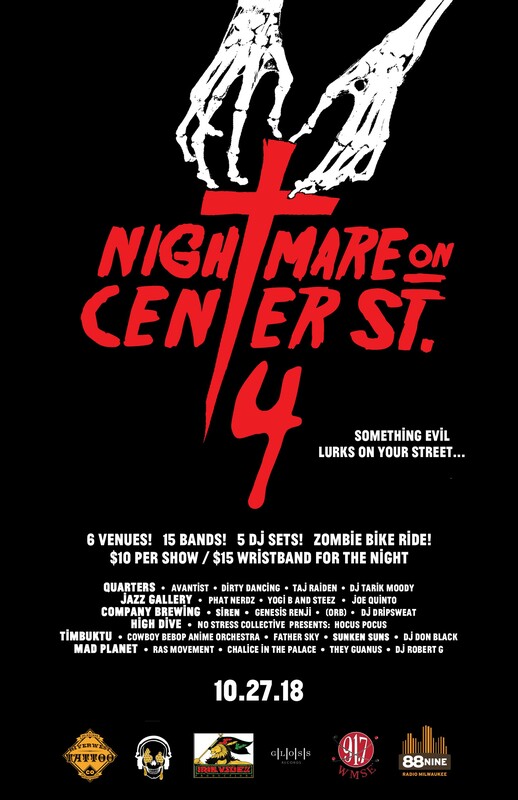 “Nightmare on Center Street.” On Saturday, October 27, the multi-venue Riverwest Halloween party will return for its fourth year, bringing with it a stacked lineup of local and national talent. Once again, the fest is being curated by Voodoo Honey Records founder Jay Anderson. All-access passes are $15 and come with a “special surprise perk.” They can be purchased online. Tickets to individual venues are $10 at the door. we’re extremely proud to be sponsored by Riverwest Tattoo Company, 88Nine Radio Milwaukee, and WMSE 91.7FM!